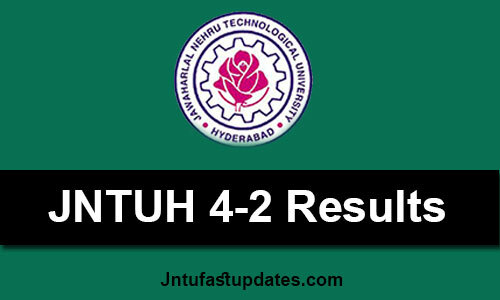 JNTUH 4-2 Results 2018: JNTU Hyderabad B.Tech 4-2 Sem R13, R09,R07 Supply Results June 2018 are declared at jntuhresults.in. Students can check their jntuh 4-2 r13 results, jntuh 4-2 r09 results by log on to the official website at jntuhresults.in. JNTU Hyderabad has successfully conducted B.Tech 4-2 semester Supplementary examinations in the month of June 2018. Huge Number of students are wrote these examinations from 19th June to 27th June, 2018. JNTU Hyderabad University have been conducted supply exams for R13, R09, R07 Regulation students. All those students who appeared in the examinations are eagerly waiting for Result of jntuh 4-2 sem. So here on this page you will get latest new regarding JNTUH 4-2 Results of Supply examinations. Candidates who appeared for the Jawaharlal Nehru technological University JNTU B.Tech Supplementary examinations 2018 can check their results online. JNTUH had conducted the B.Tech Regular/Supplementary examinations 2018 in the month of April, the results of the same have been declared on the official website of the board. Candidates who have appeared for the JNTUH 4-2 Sem 2018 examination can visit the website to check their result. The results are also available on the e-payments portal of JNTUH viz epayments.jntuh.ac.in. Candidates who are interested in Recounting or Revaluation of their answer scripts must apply for the same by filling a form given on the official website and paying the application fee. JNTUH 4-2 Results Jnne 2018 Release Date? JNTUH B.Tech 4-2 Supply Examination Results June 2018 for R13, R09, R07 are announced. Note: Last Date for Applying to Recounting / Revaluation Date: 19-07-2018. How To Check JNTUH 4-2 Results 2018 at Jntuhresults.in? 2. Click on JNTU IV B.Tech. II Semester R13 or R09 or R07 Supply Results 2018. 5. View your JNTUH B.Tech 4-2 Results 2018. 1.3 How To Check JNTUH 4-2 Results 2018 at Jntuhresults.in? Sir pls me official website for btech results. Present jatuh results website is not showing any results immediately. when 3-1,3-2,4-1 supply results are came and can I leave swsn,m1 subjects.